A stunning new colour in this popular species: white flowers up to 8cm (3") in diameter, with light red picotee and dark red centres. Ideal for borders or containers, it blooms all summer. Try it with blue ageratum or in cut flower posies. Flowers July-September. Height 50-60cm (20-24"); spread 40-50cm (16-20"). Supplied in a 2 litre pot. Light, airy and just so elegant! These traditional cottage garden favourites are perfect for all types of informal plantings. Use taller varieties at the back of a border and to fill in around perennials such as lilies and irises or ornamental grasses. 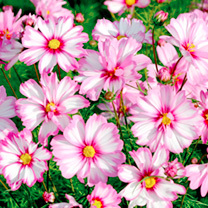 They're also superb combined with annuals like cleome and tender perennials such as cannas and dahlias. Dwarf varieties are ideal for the front of borders and in containers. They also make a good, fast-growing annual hedge. 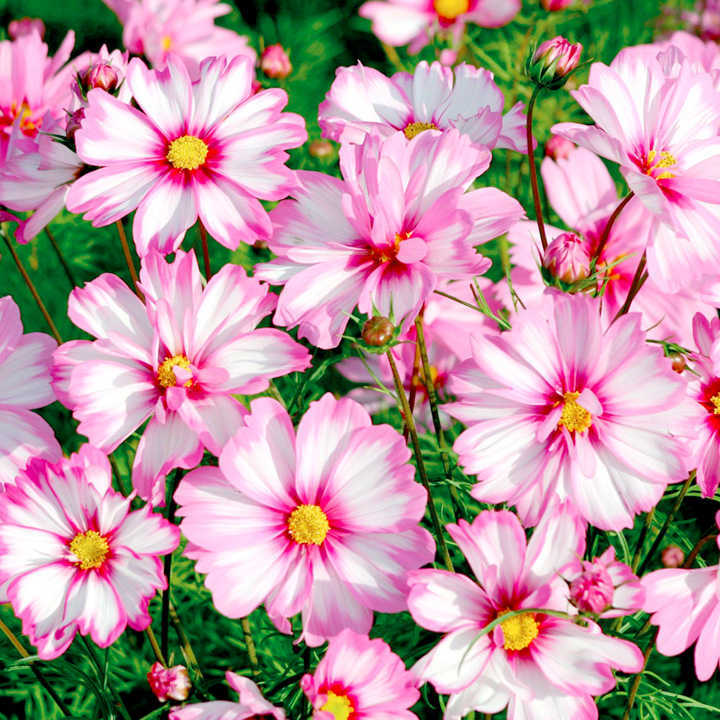 Plus they make outstanding cut flowers and are adored by butterflies and bees! Ideal for beds and borders, patio pots and containers. Suitable for cutting. Attractive to butterflies and bees. Prefers full sun.